It's been the fastest year I've ever seen in my life. 2015 brought a lot of creative names you want to know on our Top 2015 Preview lists. Meanwhile enjoy the "youngest" medium on our blog - Instagram People, creative folk that inspired us through the year. We hope to cover more of them in 2016. 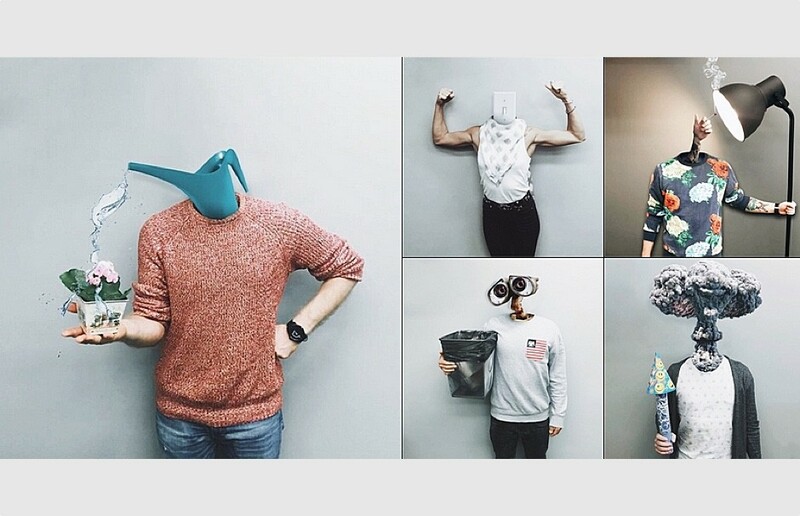 StPete guys having a lot of fun replacing friends heads with different things on Instagram. Paris-based architect Raul Alejandro Cabrera Ruiz has a killer eye for details and especially the ones from urban landscape. Following the aphorism “God is in the details” once said by Ludwig Mies van der Rohe, Raul developing his skills on a daily basis using Instagram for documenting his success. 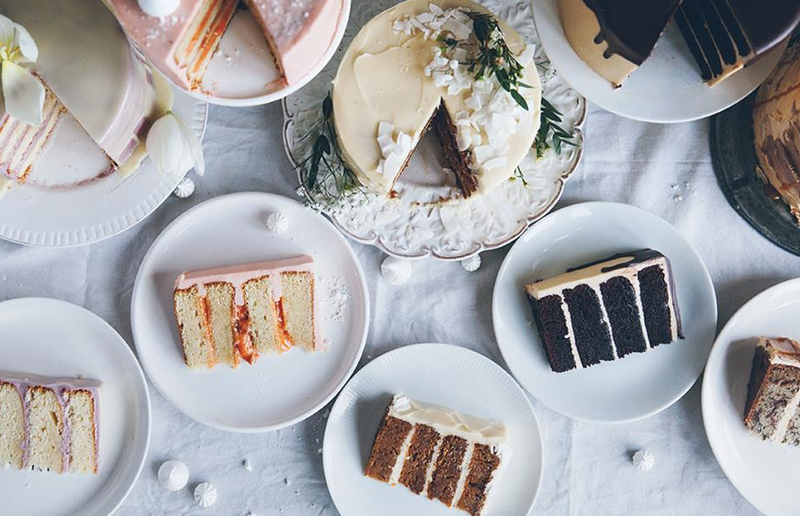 Blogger, food photographer, stylist and cookbook author – Linda Lomelino is real fairy of a perfect shot and knows how to make you mouth-watered in a matter of a few seconds. Art Director Stephen McMennamy (Instagram) looks for simple backgrounds, takes two photographs, and then carefully arranges them together. The early #combophoto project shots were taken with an iPhone, but McMennamy recently bought a new camera to improve the quality, and occasionally uses a drone. 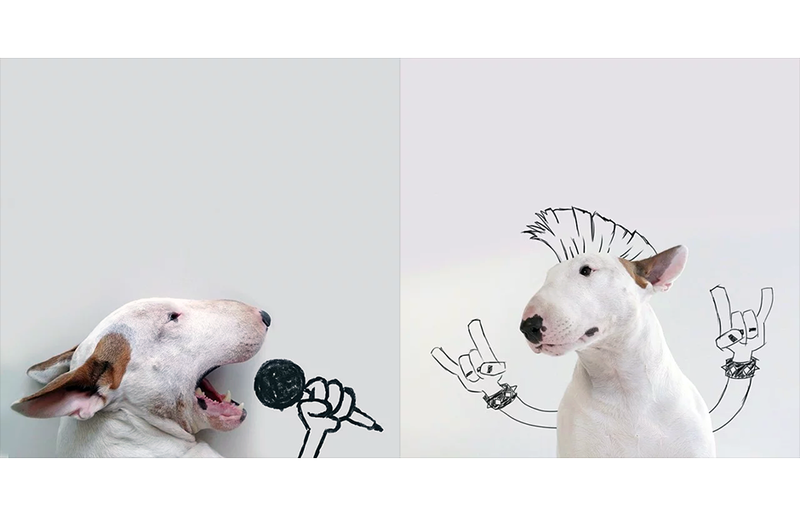 Rafael Mantesso puts his pet bull terrier, named Jimmy Choo, into all kinds of funny situations by adding some drawings to the picture. Jimmy Choo was named by Rafael’s ex-wife, who was a stylist and loved the brand’s footwear. After their divorce, Mantesso wanted to fill the empty spaces of their house by creating some fictional scenes. And since Jimmy Choo was always around to watch him draw, he thought it was natural to include him into his artworks. He aims to post a new photo of his works on Instagram everyday, he mainly finds inspirations by observing his surroundings. 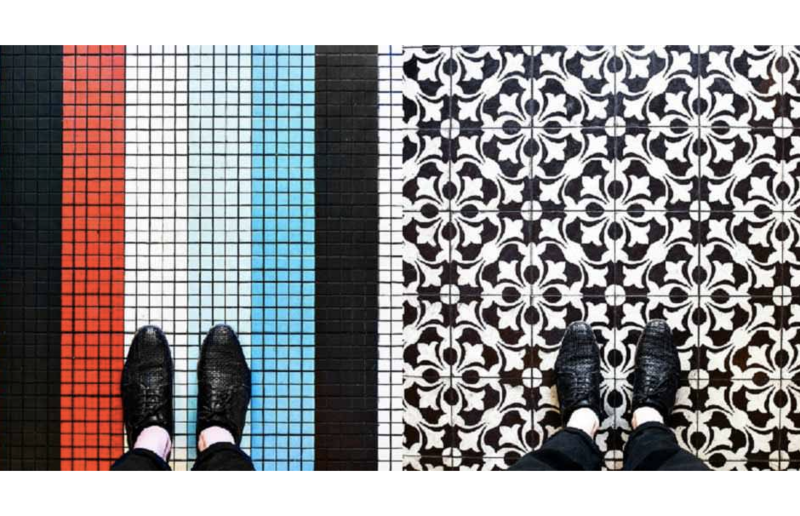 Inspired by the intricate patterns of mosaic floors he saw in Marrakech, Sebastian decided to document the stunning views below his feet starting with the cafes and hallways back in Paris. 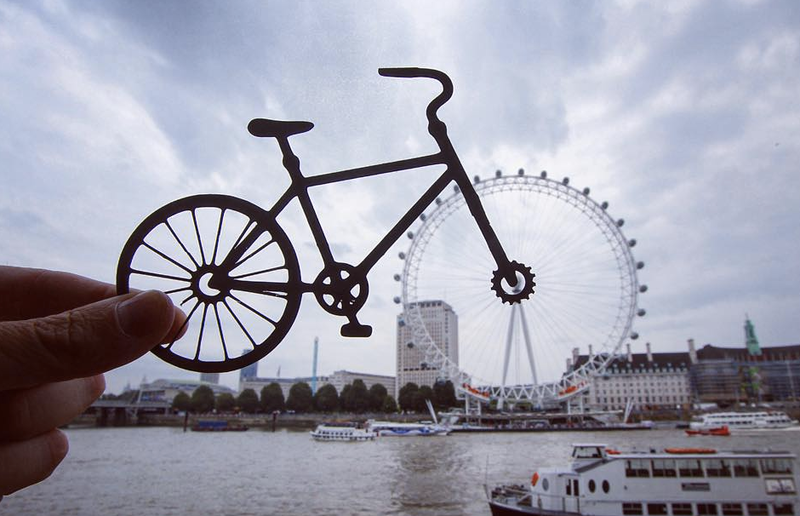 British artist Rich McCor gives new meanings to famous landmarks in different cities by using intricate paper cutouts and posting results on Instagram. Follow @designcollector on Instagram to explore more creative people every day! Stay tuned for the Official Top 2015. Enjoy the previews here and Happy New Year!